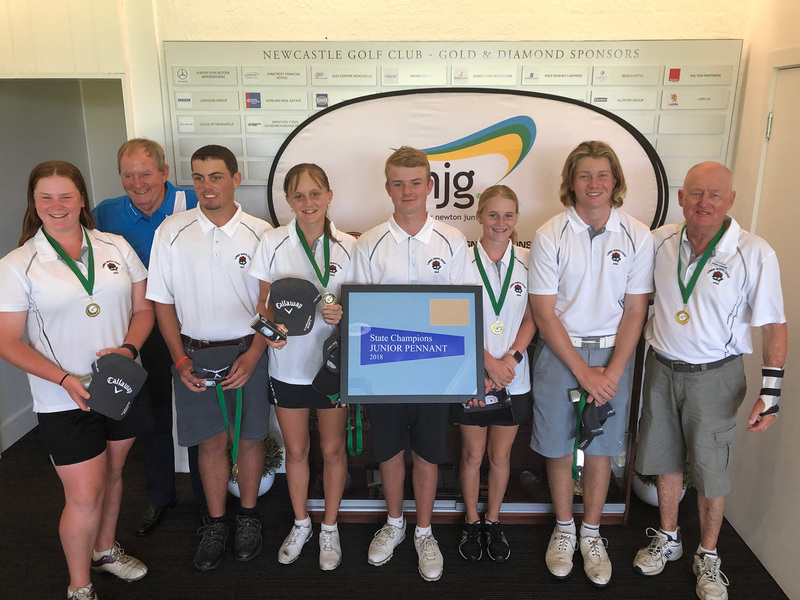 Newcastle GC was the venue once again for the State finals of these two great junior team events. Eight teams had come from as far as the Northern Rivers and Wagga Wagga to play off in semi-finals on day 1 and hope to get through to the finals on day 2. The weather was warm to hot with a 15 kph breeze blowing from the south helping to keep the temperature bearable and the mozzies away. The greens were medium paced and the fairways in excellent condition. Many of the players had played in the Junior Open the previous day so were familiar with the heavily tree lined fairways and well positioned bunkers. It all began at 8am. In the first junior pennant semi-final Bankstown GC were up against Toukley GC. Bankstown went to an early lead but after 9 holes had been pulled back and were just behind in 3 matches with one at square. This situation didn’t change much and Toukley came away with a 4/2 win, progressing to the final on Day 2. The other contest saw Lower North Coast DGA against Kiama GC. At halfway it was Kiama with a very slender lead, anyone’s match at this stage. LNC DGA got the first win after just 11 holes but it was very close in the others until the final two holes. Kiama had narrowed the gap but steady golf saw LNC DGA close out the contest with 4 matches finishing on the 17th hole, taking the win 4/2. In the Encourage Shield, Moore Park GC were dominant right from the start over Newcastle DGA and lead in 5 matches with the other one at square when they began the back 9. Newcastle fought back strongly, narrowing the gap to the point where they had a chance to cause an upset and were 2-2 at one stage. Moore Park’s No.1 and 2 players maintained their leads to win and give them a 4/1 result. Northern Rivers DGA took on Wagga Wagga Country Club in the other semi-final. Once again it was anyone’s contest at the turn with both teams leading narrowly in 2 matches and the other 2 were square, but Northern Rivers came home the strongest to win 4/2. 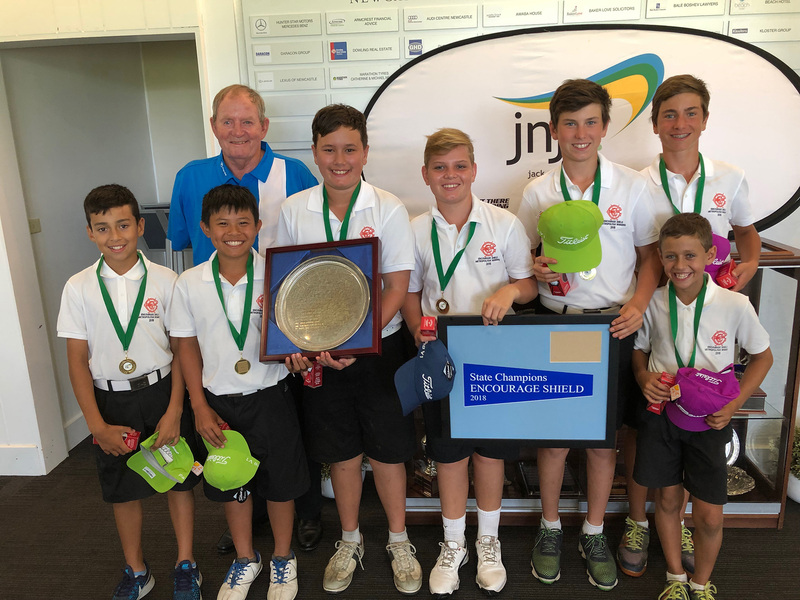 The Encourage Shield final between Moore Park and Northern Rivers was a close contest as the matches approached the halfway mark, but Moore Park, defending champions from last year, were in front in 4 matches with the other 2 even. As the heat intensified, the more experienced Moore Park team pulled away and had won 3 matches comfortably by the 15th hole. Their No. 6 player held his 1 hole lead into the 18th and halved it in bogies to give Moore Park the win and celebrated being the first team to win back to back State Titles. Both teams in the Junior Pennant final were confident as they played the first nine holes and it was too close to call at the turn, although LNC DGA was ahead in most matches, it was only by 1 hole. 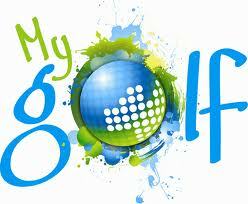 The back nine saw Toukley come back to even in 3 matches but LNC DGA kept their nerve and their No. 5 and 6 players won the first 2 matches. The biggest lead in the last 4 matches was only 2 holes so Toukley still could fight back and the crowd was building, as was the heat. Over the final 3 holes LNC DGA played steady golf to hold on and win the contest 5/1.